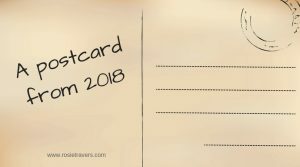 Everybody is doing a big fat quiz of the year, but here’s my personal postcard from 2018 – edited highlights of what has been a rollercoaster ride. March – Coming home from Australia and discovering we had missed the Beast from the East and all the fuss about the snow. First steps into the magical world of publishing as I begin working with a professional editor on The Theatre of Dreams. April – Discovering two short stories I’d submitted to Writing Magazine competitions had been shortlisted in the same month. Another successful competition entry at Hampshire Writers Society for the first 300 words of a commercial women’s fiction novel, is actually mushrooming into a commercial women’s fiction novel. Could this be Book Number Two? Yes it could. Change name of book from competition title of Marrying Mother to Your Secret’s Safe With Me after all sorts of plots twists infiltrate the original idea. May –The rush is on to finish Your Secret’s Safe With Me so it’s out of the way before the launch of The Theatre of Dreams. June – Choosing my book cover, writing blurb and dedications and then coming home from a week’s holiday in Spain and finding a paperback copy of The Theatre of Dreams waiting for me on the doorstep. July – How do I launch a book? Surely if I just throw a few tweets out there, chat about it on Facebook, add a few Instagrams, tell a few friends…that’ll work, won’t it? The first Amazon reviews are in and they’re very good – but they are all written by people who know me. 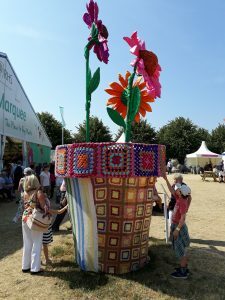 Fulfil another personal ambition and visit Hampton Court Flower Show on the hottest day of the year. We all wilt and have to be revived by large doses of Pimms. I do, however, gather ideas for a winter knitting project if the writing career plummets. September – We set sail on a two-week cruise to the Baltics. 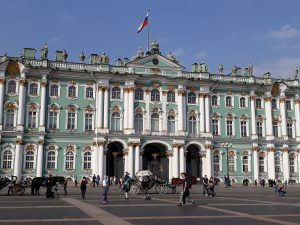 After traipsing through a mere smidgeon of the 22km of corridors at the Winter Palace in St Petersburg it’s easy to see why the Russians had a revolution. It’s jaw-dropping opulence in the extreme. Publisher accepts Book Two. November – Onwards and upwards to conquer the Everest sized mountain of book marketing and self-promotion. Meanwhile, start edits on Your Secret’s Safe With Me. Many thanks to everyone who has supported my writing journey and also to my fellow authors who have guested on this blog during the year, either talking about their favourite comfort reads or their own magical books. Wishing you all a very happy and prosperous 2019. In the final comfort reading spot of the year, my guest is a fellow graduate of the Romantic Novelists’ Association New Writers’ Scheme, Jane Lacey-Crane. Jane is just celebrating the publication of her second novel, The City of Second Chances. There are so many books I could have chosen for this list but, in the end, I’ve settled on the five that are not only my go-to comfort reads but the five that found me at just the moment in my life that I needed them. The Colour Of Magic by Terry Pratchett. Picture the scene – It’s 1989, I’m 18 and I’ve turned down a place at university with the intention of travelling the world and finding myself. Instead I end up working full-time in a Ladies fashion boutique on an East London high street. A very depressing picture. Days full of great people but mind-numbing work. During my lunch hour one day, I wandered to the nearby branch of WHSmith and picked this book at random. 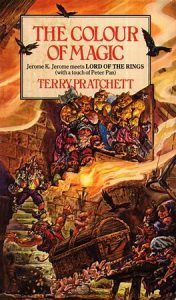 I’d never read any fantasy novels before and I’d never heard of Terry Pratchett either. I read it in one day and I was hooked. The book was so magical, so full of creativity and imagination, that when I read it – and all the other subsequent Discworld books – I was transported to somewhere far away from my normal life. It saved me from the drudgery of my day to day life and I will always be grateful that I found it when I did. This book came to into my life when I was working in a bookshop in Central London – still trying to ‘find myself’. Can you see a pattern forming? I worked in the Fiction department and managed to get a hold of a proof copy of this book. Set in Brooklyn, it centres around the misadventures of yuppy architect Jimmy Gambar and his estranged brother, Gus. When Jimmy finds himself with a dead body in the trunk of his car, the only person he knows he can rely to help him is his brother. It’s a fantastic road trip of a book that deals with love and survival and finding your way back to family. 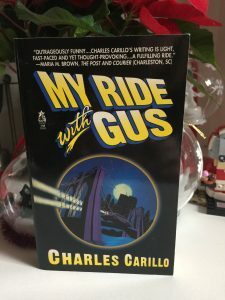 I was in awe of the writing and the way the author was able to craft a story that was touching and heartfelt at the same time as being hugely funny. I knew that was the kind of writer I wanted to be, and this book showed me how it could be done. Anything written by Nora Roberts! This one might be a bit of a cheat because it isn’t one book – it’s many books written by the same author – and I love them because they also taught me so much about the art of storytelling. Nora Roberts – in my humble opinion – is nothing short of the most talented writer in the world. I found her initially when I started reading Mills and Boon books. 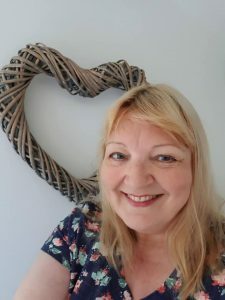 Mills and Boon introduced me to the art of romantic fiction and I devoured as many as I could get my hands on when I was a young girl, dreaming of becoming a published author. I would buy stacks and stacks of them at boot sales and jumble sales and then lock myself away, lost in a world of female heroines and the men that adore them. 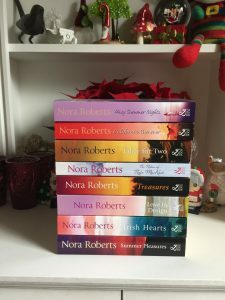 Nora Roberts was the author I always looked out for and I still do. The arrival of a new title by her is guaranteed to make me smile. I always know I’m in safe hands with Nora! A classic, and one that I know has appeared on this blog a few times. But it’s just the most amazing story – a bold heroine, a brooding hero and more sexual tension than you can shake a stick at! 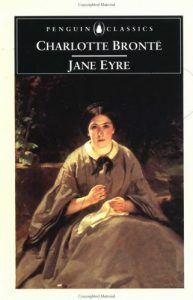 When I first read it, back in school, I identified with the young Jane hugely. I wasn’t an abandoned orphan or anything, but I related to her feelings of not belonging, of being just out of place. I’ve spent a lot of my life feeling like that and her sense of loneliness really resonated with me. As I got older, and re read the book again and again, I grew to love the grown-up Jane, relating to her struggle to be herself and to be respected and loved for who she was. This is a book I return to time and time again, especially at this time of year. 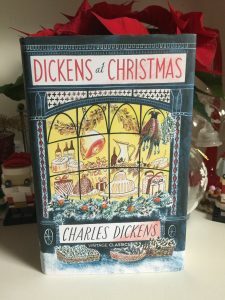 It’s a collection of all Charles Dickens festive writings, not just A Christmas Carol, but pieces he wrote for periodicals of the time, and a festive tale from The Pickwick Papers, which is a real treat. I snuggle down in my armchair by the Christmas Tree, cup of tea and mince pie in hand, and let the gloriously beautiful writing take me away to a place where the Christmases are always gloriously snowy, and the pudding is always flaming and adorned with a sprig of holly! I’ve been writing for as long as I could string a sentence together and I always dreamed of becoming a published author, but it felt like an unachievable dream until I joined the RNA’s New Writer’s Scheme in January 2017. That was the thing that really made me think I could really do it. I’d written the beginning of the story that would grow into ‘Secrets and Tea at Rosie Lee’s’ as an entry for a competition on Good Morning Britain. It never got anywhere but I really thought the story had legs and could go somewhere so I carried on with it. After rewriting it based on my manuscript report from the RNA, I started submitting to publishers who didn’t require you to have an agent. I was over the moon when Aria Fiction offered me a 3- book contract in October 2017!! The first book, Secrets and Tea at Rosie Lee’s, was set in East London, where I grew up, and featured characters that were inspired by some of the people I knew back then. My new book, The City of Second Chances, was released 11th December and very excited to be able to share it with people. It’s a completely new story, set in London and New York, and it follows the fortunes of Evie Grant, a woman in search of a new life and new adventures. Has she already met The One? What if Mr Right had come along at the wrong time…? So it feels like fate when the opportunity arises for a girls trip to New York City. Staying with her sister on the Upper East Side, Evie is enchanted by a snow-covered city consumed by preparing for Christmas. Bobble hat firmly on, Evie is walking through the city one day when she bumps into Daniel Roberts, Hollywood heartthrob and one-time boyfriend of hers. It’s now or never for Evie – but can she open her heart to the possibility of a new beginning and true happiness once again…? 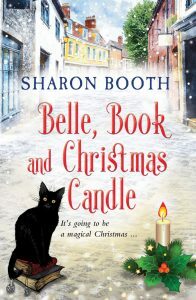 Funny, real and wonderfully romantic, this is the perfect feel-good read to keep you warm this winter! I love to hear from readers so if they want to get in touch with me they can! This time last year I didn’t have a publishing contract. Scroll forward twelve months and not only have I launched one novel, I have just finished editing book two. Your Secret’s Safe With Me will be published by Crooked Cat on 18 February 2019. So, what is the new book all about? Like the Theatre of Dreams, Your Secret’s Safe With Me is set on the south coast of England, but this time, instead of an old-fashioned seaside resort, the action centres of the fictitious picturesque riverside village of Kerridge and a house called Rivermede. The whole thought process for this new book is very different from the first. I’d tried out the characters who appear in The Theatre of Dreams in various disguises and in several other plots before stumbling onto the idea of a campaign to save an old seaside theatre. Your Secret’s Safe With Me was written over a much shorter time span with fresh characters, who hadn’t been hanging around in my head for ages waiting for the right outlet. The novel focuses on the intricacies of family relationships and the consequences of keeping secrets – and it began life earlier this year as a competition entry for the first 300 words of a commercial women’s fiction novel. Hampshire Writers Society meet at the University of Winchester once a month and hold regular competitions. I don’t always enter, but I felt I had to partake in this particular competition as commercial women’s fiction is my specialiality. My entry was entitled ‘Marrying Mother’ and featured Pearl, a romantic novelist about to return to the UK from an eight week cruise, delivering some life-changing news to her daughter, Becca. My entry was awarded highly commended and I felt spurred on by the family dynamic I’d created to continue Pearl and Becca’s story. As with The Theatre of Dreams the setting is local – why look any further when inspiration sits on your doorstep? It’s just a 300 metre walk from my front door to the banks of the River Hamble, which is one of the south’s leading sailing centres. I regularly run/walk/jog along the river and being in such close proximity to some very sleek and extremely expensive looking yachts I began to speculate about the people who owned these vessels and what they got up to on the water. With an over-fertile imagination it’s very easy to envisage some dubious and illicit activities might be taking place, and it seems perfectly reasonable that a pair of unsuspecting newcomers to the area, such as Pearl and Becca, could become unwittingly caught up in these shenanigans. Throw into the mix a familiar but unwelcome face from Becca’s past – and a story started to emerge. 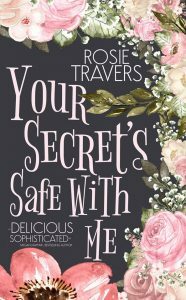 Becca’s organised world quickly transcends into chaos, and although primarily a romantic suspense, Your Secret’s Safe With Me, contains a fair dose of humour. 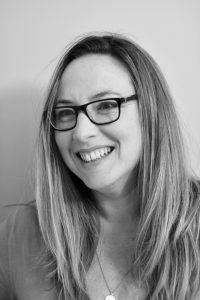 Continuing the series, this week romantic novelist and “Yorkshire Rose” Sharon Booth chooses her five comfort reads. The books I’ve chosen for my comfort reads are all books I’ve read many times, and will no doubt read again. I’ve deliberately left out my childhood favourites because, truthfully, I could easily fill this entire blog with them and there’s no way I could narrow it down to five. Childhood books are the ultimate comfort read for me, and I suspect I’m far from the only person who feels that way. So, after a lot of debate and with huge apologies to the many, many books that I’ve had to leave off this list, here are the five comfort reads I’ve selected. 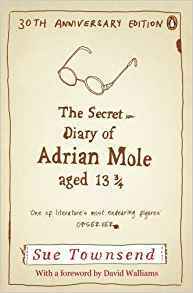 The Secret Diary of Adrian Mole Aged 13 ¾ by Sue Townsend. Honestly, I could pick five Adrian Mole books and that would be fine by me. I return to this series over and over again because no one makes me laugh like Adrian. His teenage longing for the glamorous Pandora, his hilarious relationship with beetroot-loving Bert Baxter, the endless battles with spots, his angst-ridden poetry, his dysfunctional family – it’s all just priceless. Picking up this book is like being hugged. I just know that, however bad I’m feeling, this will cheer me up. And what makes it even more special is that Adrian isn’t just funny. There are moments of real poignancy and perception. Adrian holds up a mirror to the society he lives in, and it’s a commentary on the times that isn’t always comfortable to read but is never less than truthful. I just love it. 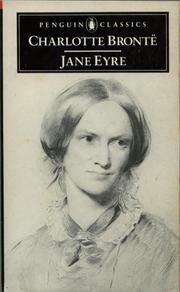 Jane Eyre by Charlotte Bronte. This is my favourite novel and I can’t imagine ever tiring of it. Jane is just magnificent. She’s insignificant as a poor, orphaned woman in Victorian Britain, yet she has a fire burning within her. Jane knows her own worth. She has principles, and she holds fast to them. She understands that, while others may look down on her, she is worthy and deserving of respect. She rages against injustice in all its forms; even as a small child at the mercy of her awful aunt and cousins she knows that their treatment of her is wrong and protests loudly and at great cost to her welfare. The love story between her and Mr Rochester is beautiful, but there’s much more to the novel than that. Jane speaks for all those other women of her time, or of any time, without a voice. I adore her. 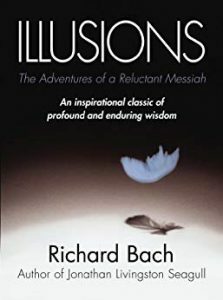 Illusions: The Adventures of a Reluctant Messiah by Richard Bach. I was given a copy of this book many years ago by a friend, and I wasn’t sure what to expect from it, but I loved it. It really made me think about things from another angle and, all these years later, I still find comfort in it. I do love books like this. I’ve read The Tao of Pooh, Conversations with God, The Five People You Meet in Heaven, The Prophet and many more, and I find them fascinating. My copy of Illusions is a bit tattered now but I’ll never part with it. 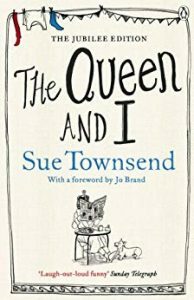 The Queen and I by Sue Townsend. Yes, I know it’s another Sue Townsend book, but I couldn’t resist it. I’ve read this several times and it never fails to make me laugh. The thought of our Royal Family slumming it on an inner-city housing estate, after republicans win the general election, is too funny. It always makes me giggle to picture Prince Charles with a ponytail and wearing a shell suit. Of course, it was written a long time ago and nowadays it’s quite poignant to read about Diana’s adventures on Hell Close. What I admire about this book is that, even though it’s incredibly funny, the author never humiliates the family. In fact, the Queen, particularly, is shown in a very positive light: strong, stoic, courageous and compassionate. And poor Prince Phillip’s despair as he takes to his bed is quite moving. It’s thought-provoking to see society through the Queen’s disbelieving eyes. Sue Townsend was such an amazingly talented writer. It’s desperately sad that there’ll never be another book from her. 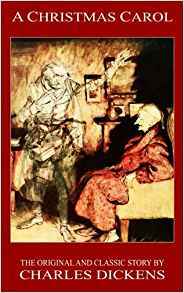 It may be a Christmas book, but I find A Christmas Carol especially comforting and a real pleasure to read. I could happily read it at any time of year, but I always try to save it for Christmas week. I just adore the story and, although it makes me sad and angry in parts, it invariably leaves me feeling positive and uplifted. When I look at the books I’ve chosen, I realise that they’re all about people who are challenged by the times and circumstances they live in, but somehow rise above those challenges by finding their own inner strength. Or, as Richard Bach would have it, the Messiah within. It’s a theme I find fascinating and positive, and so it’s no wonder I selected them as my comfort reads. Sharon writes contemporary love stories set in beautiful Yorkshire. Her books are romantic but fun, and a happy ending for her main characters is guaranteed – though she makes them work for it! 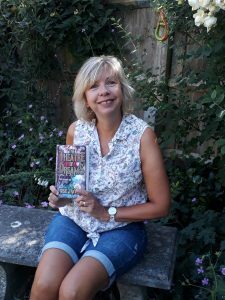 As well as full-length novels she has written pocket novels for DC Thomson, and several of her “Fabrian Books’ Feel-Good Novels” have also been published in large-print format by Ulverscroft, as part of their Linford Romance Library. Her short story, The Other Side of Christmas, was included in the Winter Tales anthology – a collection of seasonal stories by popular writers, in aid of The Cystic Fibrosis Trust and The Teenage Cancer Trust. Her 2017 novel, Resisting Mr Rochester, was awarded a Chill with a Book Readers’ Award. 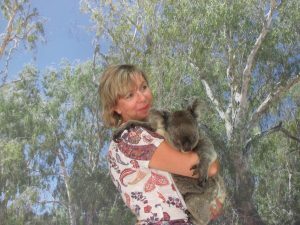 Sharon lives in East Yorkshire with her husband and their dog. She is half of the Yorkshire Rose Writers, one tenth of The Write Romantics and a member of the Romantic Novelists’ Association and the Alliance of Independent Authors. She has a love/hate relationship with chocolate, is a devoted Whovian, adores Cary Grant movies, and admits to being prone to all-consuming crushes on fictional heroes. When she’s not writing, she spends as much time as possible getting her money’s worth from her membership of English Heritage. Thanks to Sharon for taking part. I’m pleased to see a couple of my all-time favourites included in this list – Adrian Mole and Jane Eyre.